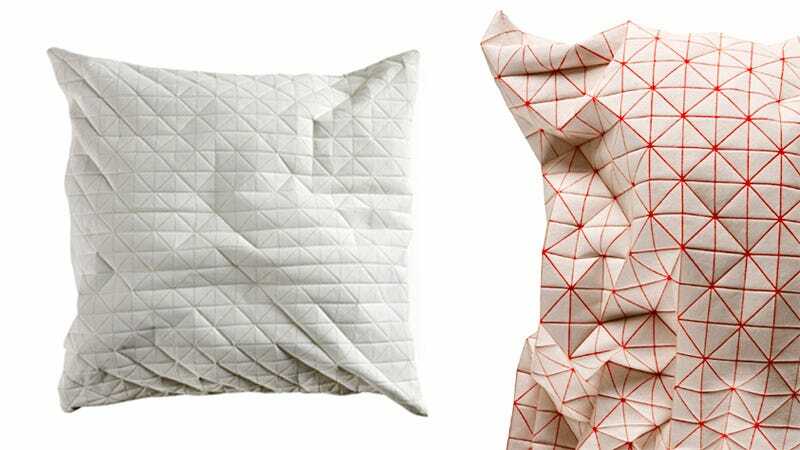 Designer Mika Barr apparently took their inspiration for these angular faceted pillows from the patterned creases seen when you unfold an origami creation. And even though they actually can't feel, we doubt even a robot would find these comfy. As far as design goes the polygonal pattern does give the fabric a unique appearance, but for $87 these better be stuffed with the finest goose down in the land if someone were to hope to get a good night's sleep on them.